“Slightly” inspired by RatFink. 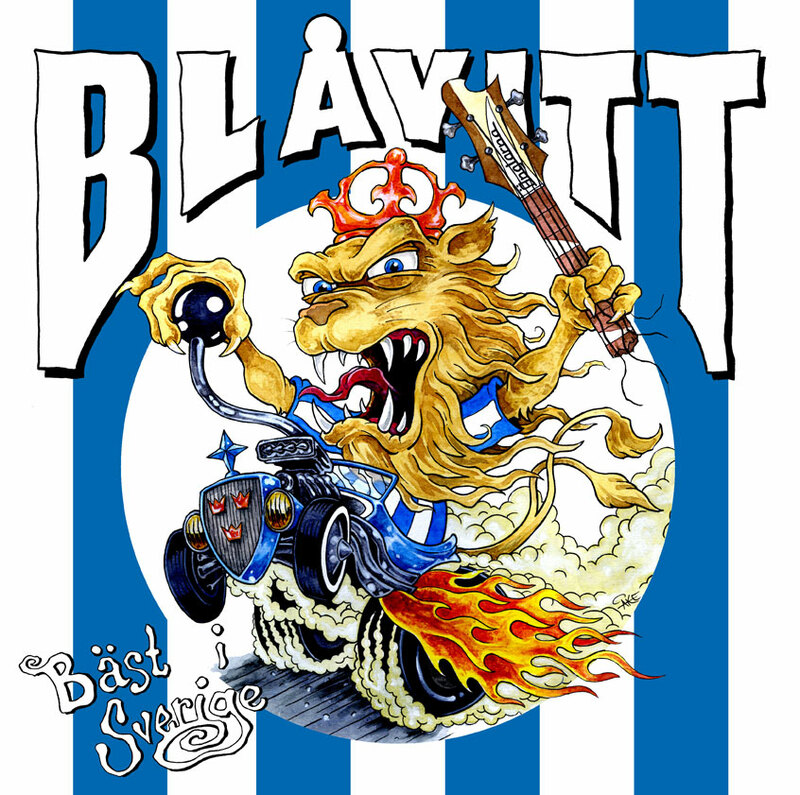 Album cover for a compilation album of different bands, celebration a Swedish soccer team, The mighty IFK Göteborg. Drawing made with ink and watercolour. Some Photoshop arrangement of the design was involved.